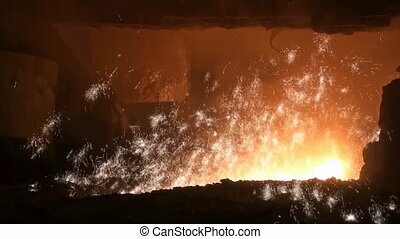 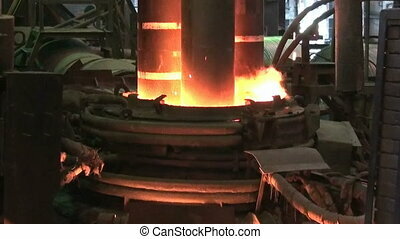 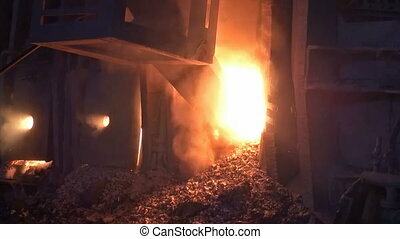 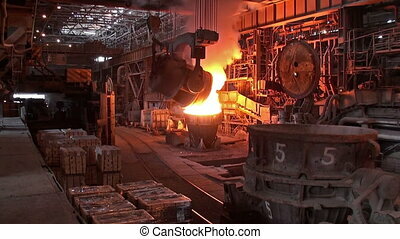 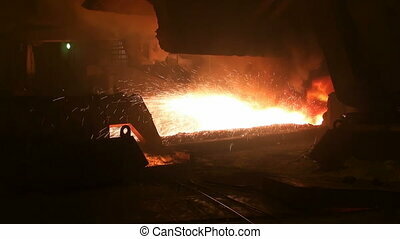 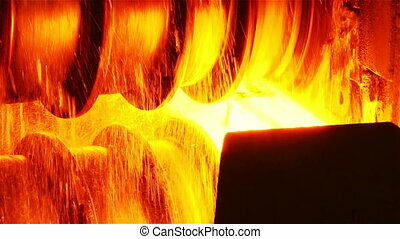 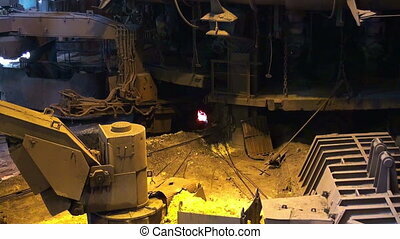 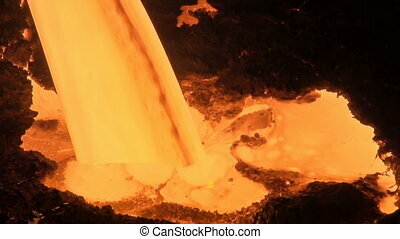 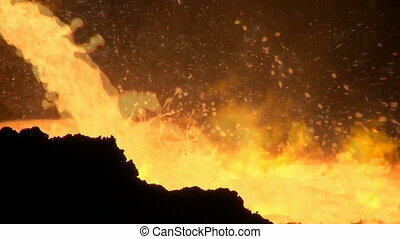 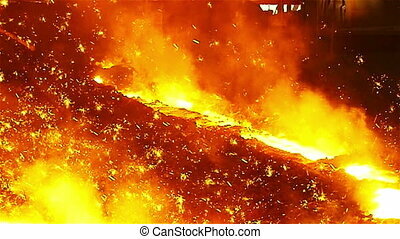 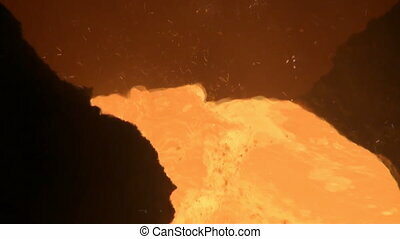 Metallurgical manufacturing. 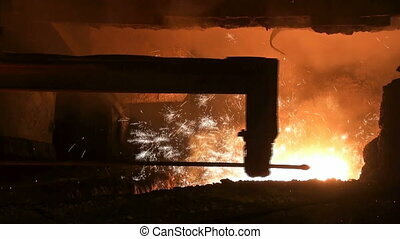 Loading additives into container with liquid metal in open hearth workshop of the metallurgical plant. 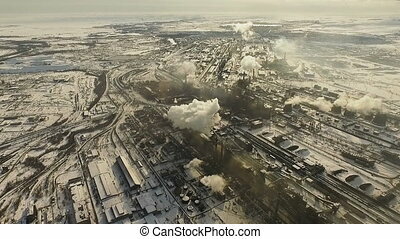 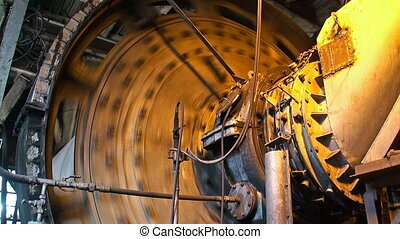 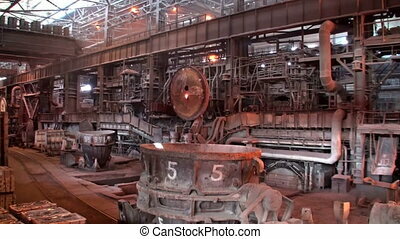 "Industrial manufacturing business production concept. 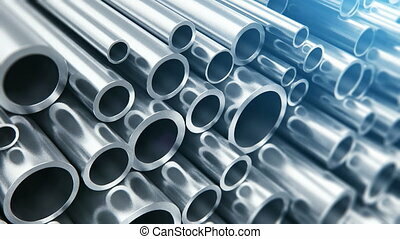 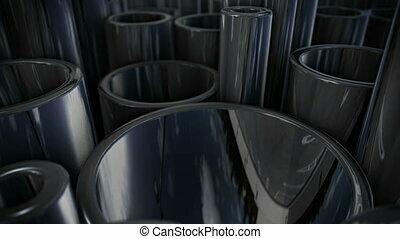 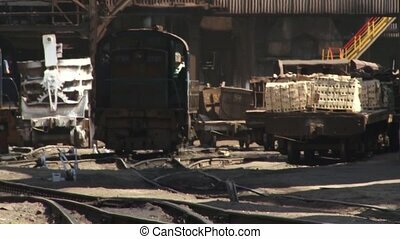 Many shiny steel pipes." 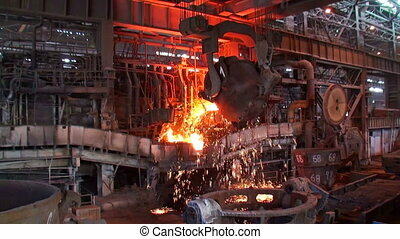 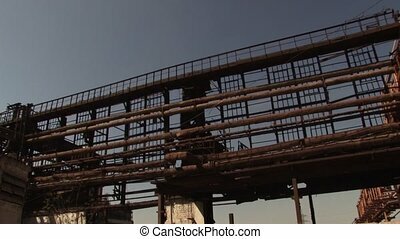 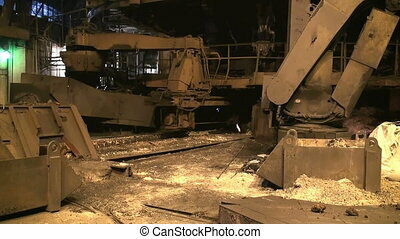 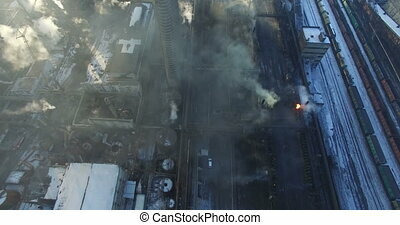 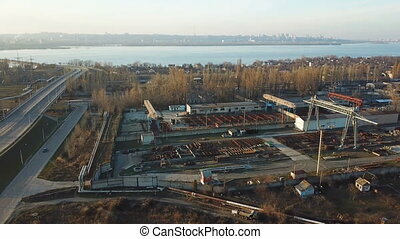 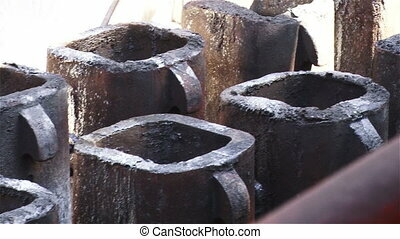 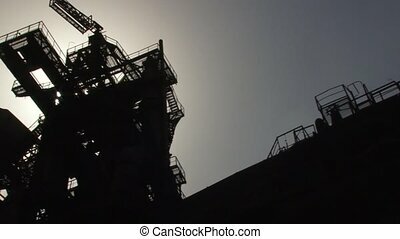 Metallurgical Plant. 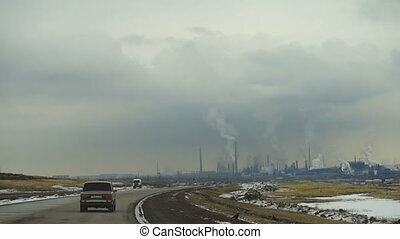 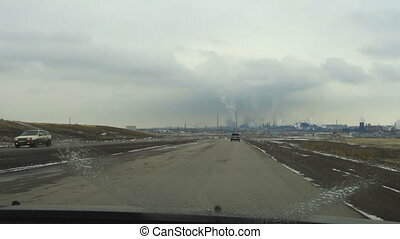 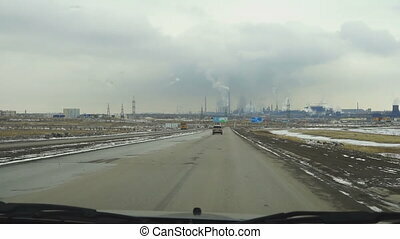 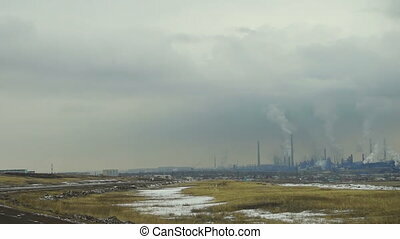 Poor environment. 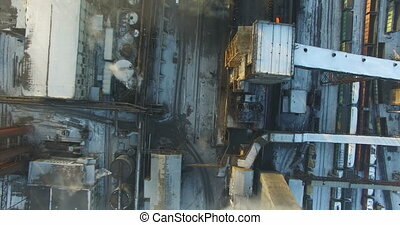 Aerial fflight from the factory.